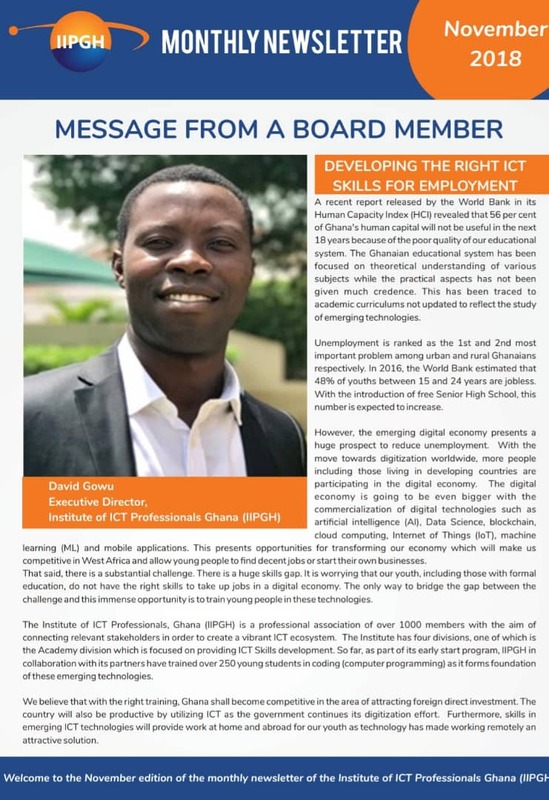 Leading members of the Institute of ICT Professionals (IIPGH) visited St. Martin de Porres School, Dansoman on 9th May, 2018 to introduce IIPGH’s computer programming courses designed for children to the pupils and teachers. 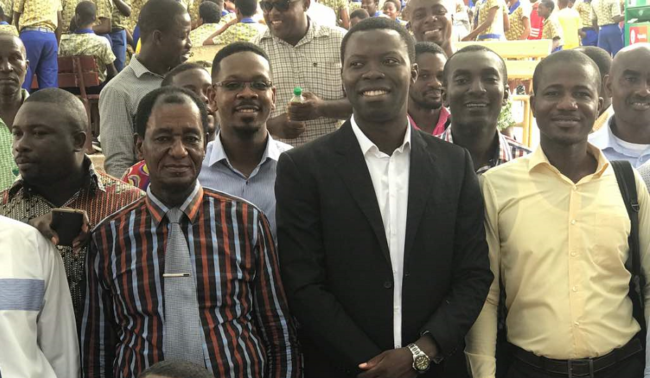 The team which was led by the Executive Director of the Institute David Gowu, included Richard Amanfu (Director of Technology), Emmanuel Gadasu (Program Manager, IIPGH Coding for Kids), Charles Frieze (CEO, FrizeMedia) and Kuuku Sam (Director, Professional Services). Mr. William Laast, the Director of St. Martins de Porres School, warmly welcomed the team from IIPGH after which the headmaster introduced the team to the pupils and teachers. Addressing the pupils, Mr. David Gowu asked the pupils if they wanted to create their own games and animations? The pupils cheered in excitement. 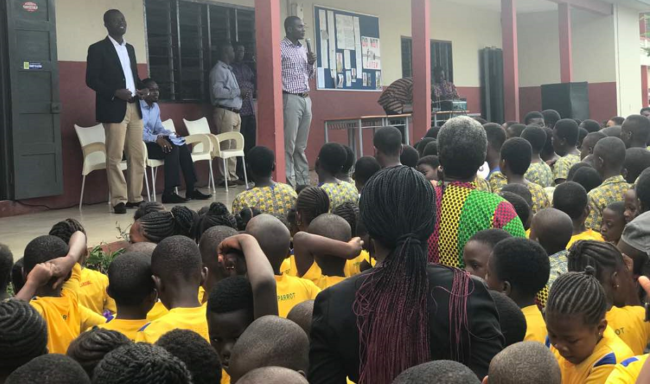 He then proceeded to discuss the IIPGH Coding for Kids program with the pupils. He explained that the ten-week introductory program which is targeted at children between the ages of 6 and 12 years, will introduce them to Scratch and App Inventor. He further informed the pupils that at the end of the program children will be able to create their own games. They will also be equipped to continue the programs which will enable them acquire advanced skills in App Inventor and the fundamentals of website design. According to the Executive Director, for the Junior High School students, “Computer Programming for Teens” has been specially designed for them. This course targets children between the ages of 13 and 19 years. 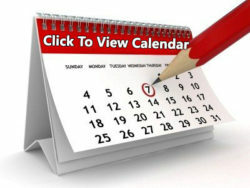 The four-part program consists of four (4) modules of each being 10 sessions. The modules are “Introduction to Programming: Programming Methods and App Inventor”, “Web Programming”, “Python” and “Andriod/Java”. 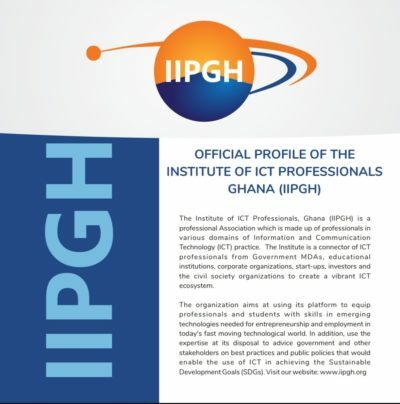 This program aims at creating the next generation of Ghanaian programmers even before they start their tertiary education. At the meeting with the teachers, Mr. Gowu reiterated the commitment of IIPGH to work towards making coding a mainstream subject in our schools as part of the “early start” initiative of the Institute. 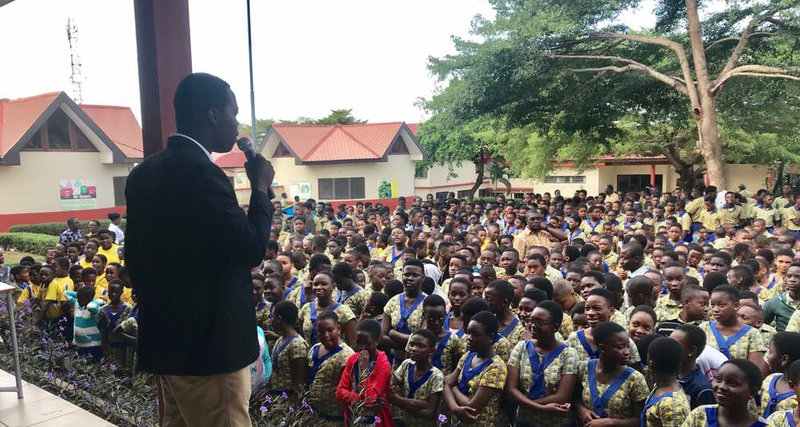 The “early start” initiative is focused on igniting the interest of children in Information and Communication Technology (ICT) at an early age. He, therefore, announced that all the teachers are welcomed to participate in the training at no cost to them. This will empower them transfer the coding skills to pupils in the near future. 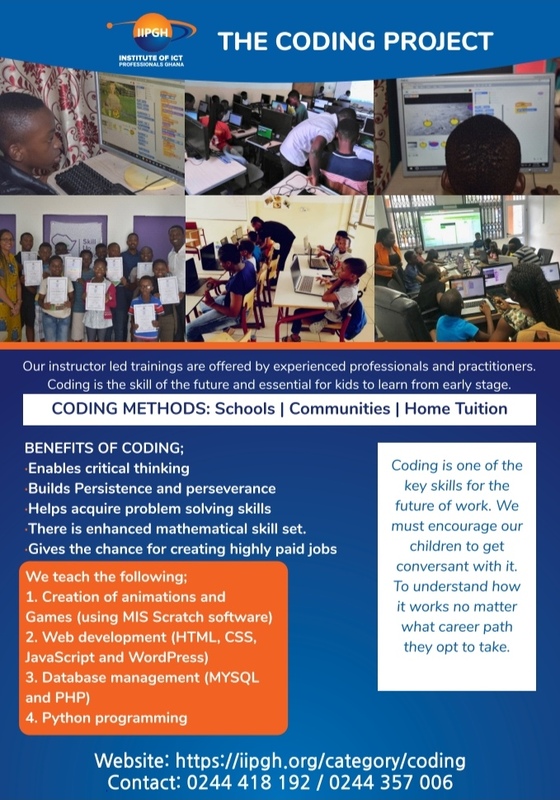 The “IIPGH Coding for Kids” program, which is already been run at the office of IIPGH at East Legon and East Airtport International Schools, will commence at the St. Martins de Porres School located in Dansoman on Saturday, 26th May, 2018.